Broad beans, also known as fava or faba beans, are actually one of the world’s oldest cultivated plants, possibly dating as far back as 6800 BCE. 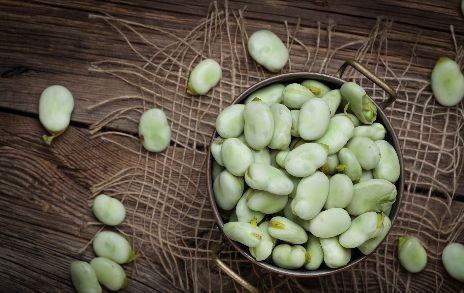 The Egyptians, Romans and Greeks all grew broad beans in their day, and until explorers came back from the New World they were actually the only beans eaten in Europe and even around the Mediterranean! When it comes to the kitchen, broad beans have some real versatility. They are a superb way to inject protein into your lunchtime salad, especially mixed in with some ripe, juicy tomatoes and a crumble of tangy feta. They are also a perfect addition to all sorts of risottos, soups, potato salads, and more. But one of my favourite ways to eat them is pureed down to make a delicious pea and broad bean houmous, layered on toast with some goat’s cheese and a crack of sea salt to make an incredibly tasty and healthy snack. And they really are healthy. Magnesium, potassium, iron, copper, phosphorous, vitamin B1, and thiamine can all be found in broad beans, making them great for your nervous system, immune system, bloodstream, and bones. They are full of healthy protein and fibre too. 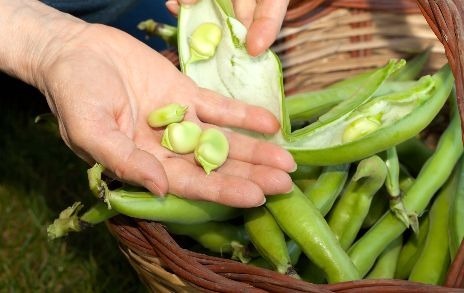 One of the best benefits of broad bean though, is that they are perfect for home gardens because they are easy to grow and give you a large crop from a small area. They are often recommended for beginners, and they are one that kids love to get involved in too. 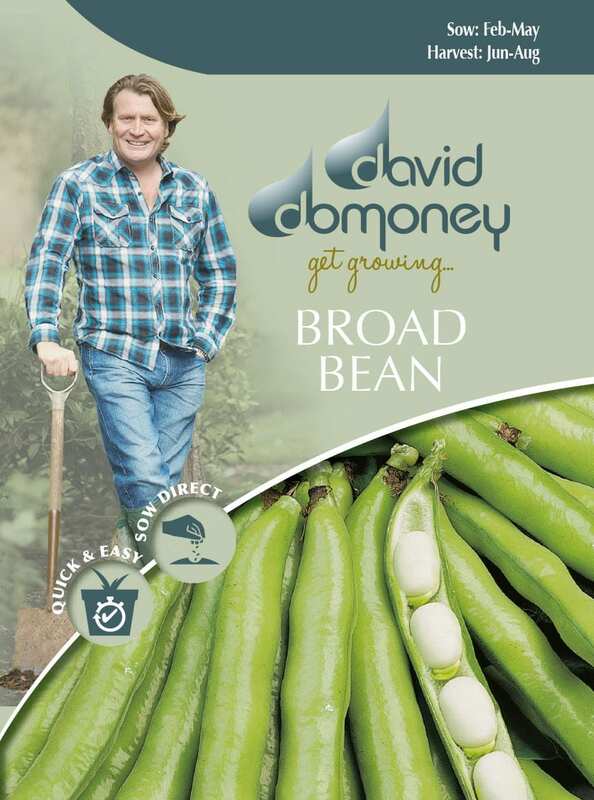 You can sow broad beans from February to April, making them one of the first seeds you get into the ground and one of the first to harvest. 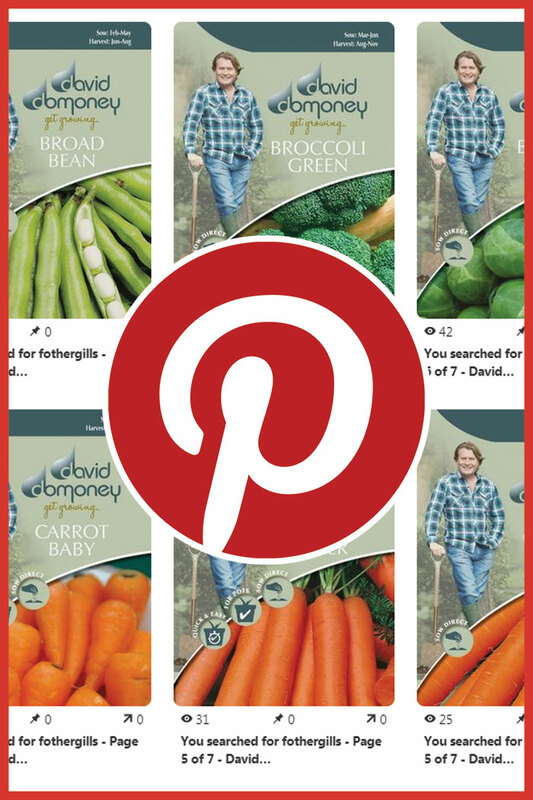 Some varieties you can even sow in Autumn for an early spring crop. However, you will need to use a cloche to warm soil first for a week or two if sowing in the autumn or in February. From March you can sow without. Broad beans like full sun and rich, fertile soil with plenty of manure or well-rotted compost dug in. A slow release fertiliser won’t go amiss too. Give them a good sheltered position away from strong winds. 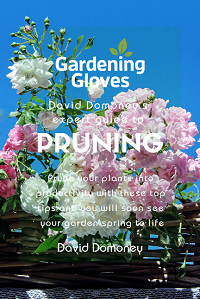 It’s best to plant in double rows, 20cm apart and stagger the planting to give them extra room. Give yourself a good 60cm between each set of double rows to allow access and good ventilation. 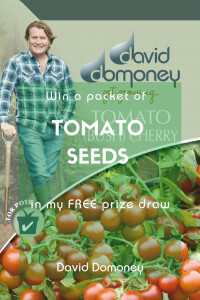 Plant your seeds 5cm deep and 20cm apart, and then water well. Germination usually only takes about 10 days. 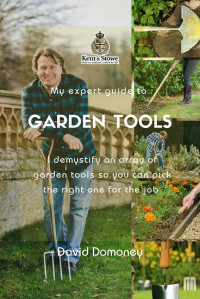 You will want to hoe regularly for weeds, and water well when first flowers appear and during any of the dry periods. Tall varieties need staking, so push a wooden stake into the ground at each corner of the double rows and tie string or garden twine between them at approx. 20cm intervals. 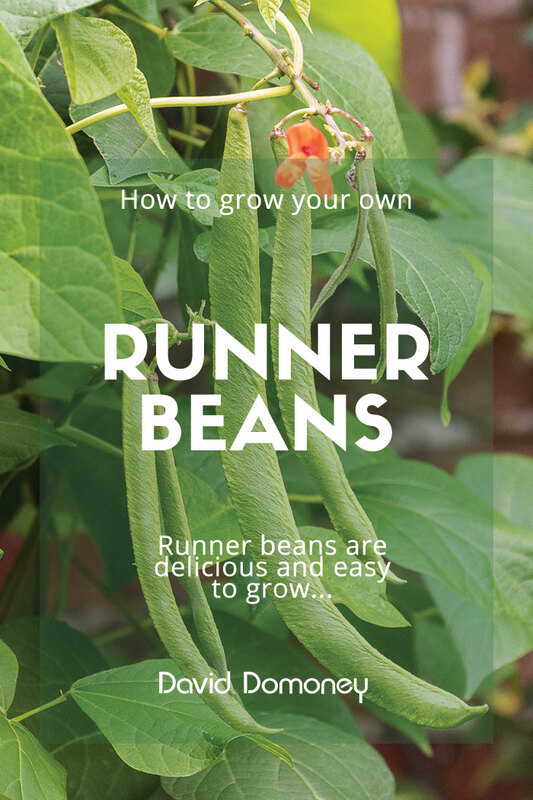 If you want to encourage beans to ripen more quickly, pick off the top 5cm of the plants when the bean pods first start to swell. This also deters blackfly, an aphid pest, who usually start at the tip. Begin harvesting the fruits when you can see the shape of the beans swelling inside the pods. Start with the lowest pods, as they mature first, and then harvest in stages. 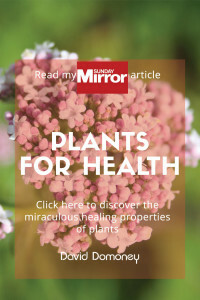 Remove each pod from the plant by twisting it sharply in a downward direction. If you leave beans on the plant they will get too large or they will become tough and fibrous. You can also harvest immature beans and eat them like French beans. They are sweeter this way, but most people still leave their beans to mature and get juicy. Once the seed packet has been opened, the seeds can be stored in an airtight container until required for further sowings. 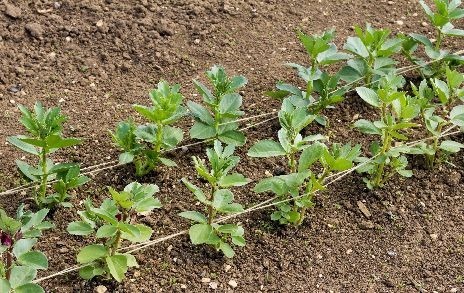 Broad bean seeds will maintain their vigour for a good number of years. Broad beans were used in Ancient Rome to vote in the Senate – a white bean for yes and a black one for no. The Greek philosopher and mathematician Pythagoras forbade his followers from eating, or even touching, the beans because he believed they contained the souls of the dead. It was once widely believed that rubbing a wart with the furry inside of the broad bean pod would cause it to shrivel and disappear. On November 2, Italy holds the day “All Souls Day”, where broad beans are sown and cakes are made in the shape of broad beans or ‘beans of the dead’.